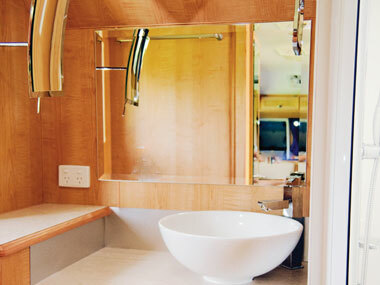 A FEW YEARS AGO, former caravan repairer Steve Thompson was struck by the idea that the local industry was in need of a better class of offroad caravans. So he did what so many of us would like to do and started his own company, Spinifex Caravans. 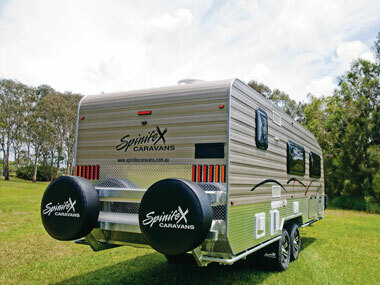 The name Spinifex reflects the tough outdoor conditions into which Steve believes his caravans should - and will - travel. 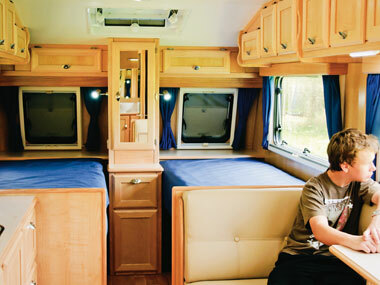 It also suggests a caravan that's as rugged and enduring as the outback itself. With less time up my sleeve than I would have liked, I hitched a custom-built EpiX to the back of a Toyota Sahara to see if this Spinifex was indeed as rugged as the great outdoors. Like other Spinifex vans, the EpiX looks ready to tackle anything. There is a real sense of style and earthy good looks about this van. Its silver/grey external cladding, twin boot doors and plentiful supply of protective checkerplate give it just the right look. The EpiX shows that departing from the stock standard 'caravan white' exterior has a certain offroad appeal. Like others in the range, this Spinifex has full interlocking aluminium walls and roof, which means tackling creek crossings along an outback track won't come back to bite you by way of potential water damage. The van fills you with the confidence that it would handle whatever the outback throws at it. Spinifex hasn't changed the chassis recipe since I last took a peak at one in early 2011. As with other designs, this van is equipped with a dual-beam hot-dipped galvanised chassis and independent airbag suspension, a solid combo that ensures you have the best chance of surviving some rough and tumble touring. It was good to see that design details also took care of some of the smaller features that are sometimes overlooked on offroad vans. 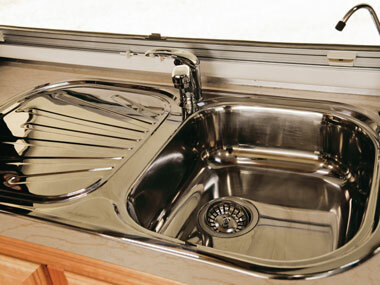 For example, the two external taps, front and rear, are well protected. 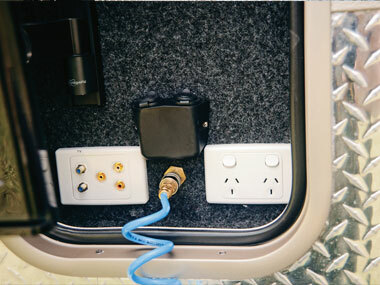 Also, an external hatch provides access for an air hose - very handy after a few days of beach camping. There's nothing worse than dragging a van with flat tyres along the bitumen until you can find a servo. The 7.1m (23ft 3in) EpiX has a Tare of 3220kg and ATM of 4220kg, which is a considerable weight. This means the van needs a tow vehicle no smaller than a Toyota LandCruiser or Land Rover Defender, though if you were to load to its maximum, you'd need a vehicle with a larger towing capacity than even those big 4WDs offer. It should be noted that this van was built especially for a customer who had the right vehicle for the job. Lighter models are available in the Spinifex line-up, too. When you're looking at touring some of the more remote Australian locations, what you really want is independence. That means plenty of gas, water and energy for a long stay in the bush. The EpiX is equipped with 18kg of gas shared across two bottles, which is more than enough to sizzle some sausages and shower for several days. Once in camp, this van has the advantage of two fridges. The new owner thought it was a good idea to have a portable little Engel to keep the beer cold right beside the external gas barbecue, as well as a good-sized Vitrifrigo on the inside for the rest of the essentials. Nobody's ever going to complain about not having a cold drink when standing around this barbie. The only potential problem with this setup is the possibility of running out of battery power. But with three 135W solar panels on the roof, that potential is very slim indeed. 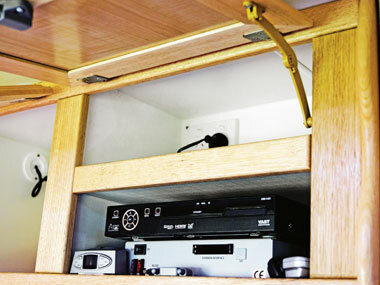 Packing easily for RV travel means suitable external storage, and plenty of it. 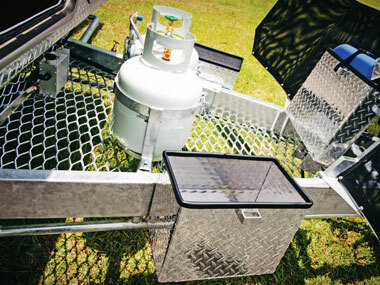 A front boot, tunnel and separate generator bin on the offside provide lots of places for your gear. 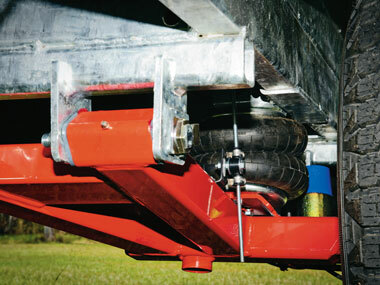 This Spinifex utilises a Hitchmaster DO45 coupling, which is ideal for a van of this size and weight. 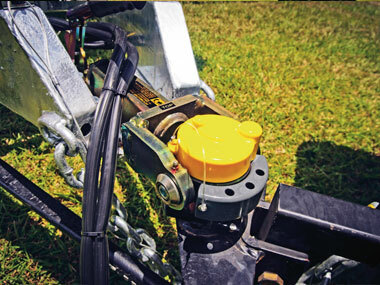 These units also have the advantage of all-direction articulation and a self-aligning pin. 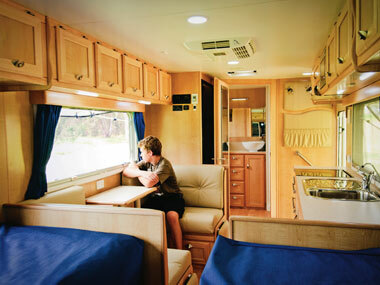 With leather upholstery, a well-equipped kitchen and comfortable single beds, the EpiX is an immediately attractive rig on the inside. The bedroom includes a middle hanging wardrobe, as well as individual shelves and front windows for each bed, and plenty of overhead lockers. 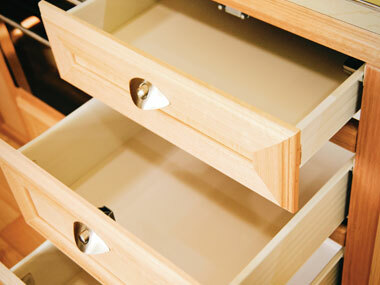 Well-constructed drawers and cupboards mean there's little chance of picking up a splinter or arguing with a stuck drawer when looking for the bottle opener. 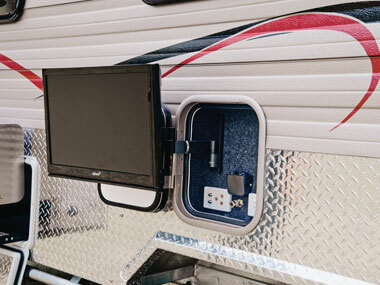 While looked over the EpiX during a hot, sultry summer, it's more than capable in cooler climes, with a diesel heater ready to tackle the coldest high-country nights. 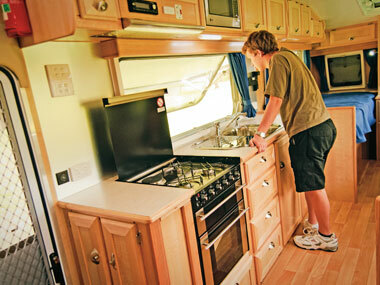 In the kitchen, the van is good for the travelling gourmet, equipped with a cooktop and accessible microwave, and plenty of bench space to make meal preparation easier. This van comes with its own front-loading washing machine, skilfully hidden away in the good-sized ensuite, so you can take your clothes home clean. There is also a cupboard for hanging your favourite jacket. On the downside, the shower cubicle is a little on the small side. 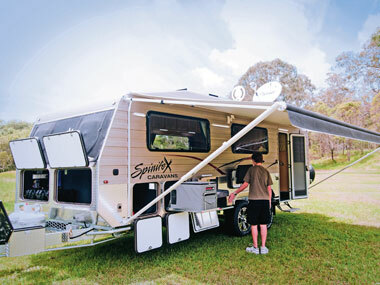 With the top-of-the-range EpiX, Spinifex is catering for the offroad RVer who cares more about the experience than the budget, more about the journey than the destination, and who loves to blend style, comfort and pragmatism in a wonderful van fit for the great outdoors. When budget is not the issue, there is no doubt the Spinifex EpiX is a fine van, especially in terms of build quality. 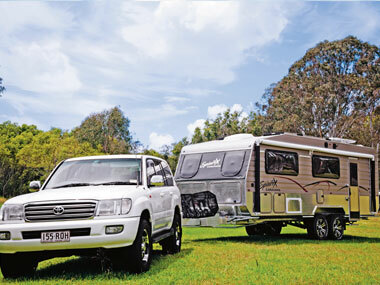 Supplied by: Spinifex Caravans, 21 Imboon Street, Deception Bay, Qld 4508, (07) 3888 2221 or www.spinifexcaravans.com.au. WORDS AND PICS David Gilchrist.